Whenever I’m in a city, wandering around there tends to be something that sticks out at me and makes that city special. This for me is not the usual landmarks, but something else that you would perhaps not give a huge amount of time to, but which I think reveals something about the soul of a place. Last year for example when I was in Malaga I became interested in both the graffiti and perhaps more oddly the paving stones. In Madrid recently there were two things that really stood out, the amazing markets in each area and the street signs in the centre of the city which I became quite mesmerised by as I wandered around. Every street, square, alleyway or courtyard had one of these beautifully crafted individually tiled street signs. There didn’t appear to be any particular style or uniformity to them as they were made up of either 9, 12, 15 or 16 tiles and the artistic designs were also quite different, they were also often quite high up on the walls, often with wires running across them or CCTV cameras next to them. In other words they were just everyday signs but for me they added a real sense of beauty and style to the city. Anywhere that takes this much care in designing a street sign for an alleyway has got to be good. It also really added to my enjoyment of walking around the city as I was constantly looking out for the signs as I meandered along and they made great reference points. I didn’t do much thinking about them as I walked around, apart from trying to translate the odd one, my knowledge of Spanish and Spanish history is not good enough to understand the meaning or resonance behind many of the pictures but I found myself wanting to know more. 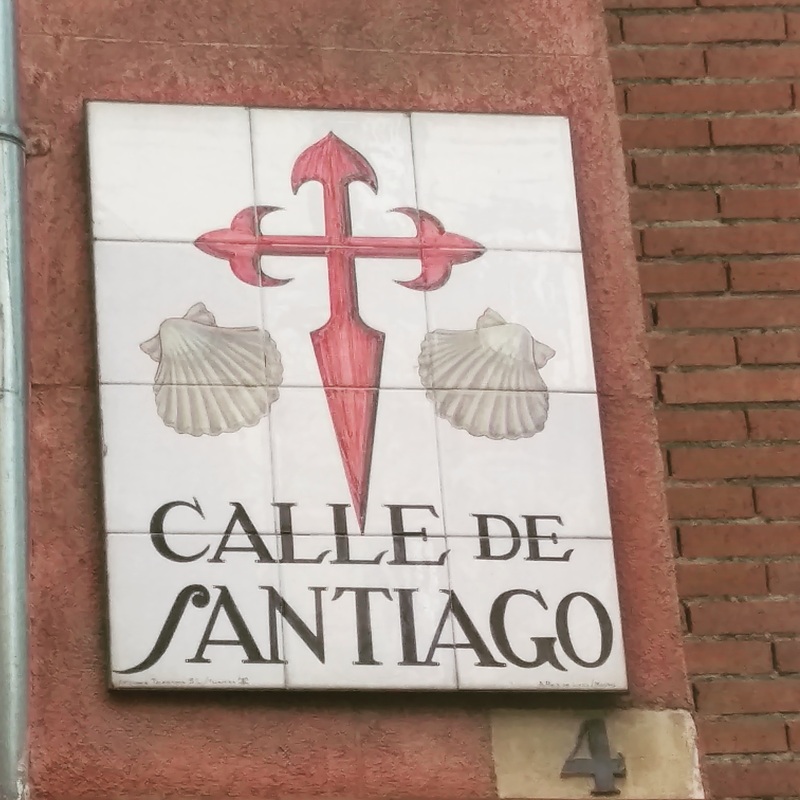 What is the Calle del Codo with the arm in armour all about for example ? I think about cities and sense of place quite a bit particularly what makes a good city or place? I don’t necessarily have the answers but as with the paving stones in Malaga, any city that puts this much craft into it’s street signs must have soul.